But there I go, getting ahead of myself. Skipping straight to the part where I was front-page news and they were calling me Dorothy, instead of starting at the beginning . . . In anticipation of reading this novel, I read all of the reviews of it everywhere on the internet. (This is usually a poor decision. I wouldn't do this if I were you. Stop reading now. I'm kidding. Stay.) The reviews seem to come in two varieties: 1. "This book is brilliantly written but is way too ridiculous and absurd for me", and 2. "This book is brilliantly written and so ridiculous it's awesome." I am so definitely in the second camp. I may have mentioned that I love out-there ridiculousness in novels. 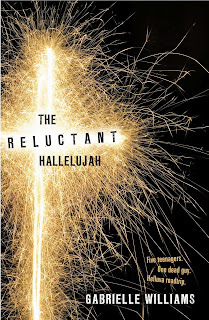 The Reluctant Hallelujah has exactly that out-there ridiculousness I love, and yet reading it, it's as if everything that's happening is perfectly normal. I remember Gabrielle Williams spoke about this novel at the Ballarat Writers Festival last year, and mentioned her US publisher's concern over the themes - I'm not sure whether it is being published in the US, and I can understand why it wouldn't be (despite the fact that it's hilarious and brilliantly written and a great read). I would hope that the controversial aspects don't overshadow the fact that it's quite a brilliant novel. The character development is excellent - of almost every single character involved. Dodie and her sister were somewhat irritating (their poor decision-making is probably realistic, but still frustrating). There's still a real insight into these characters. There does need to be a fair bit of suspension of disbelief (which, once you get past that 40 page mark, everything else hardly seems unbelievable), and though it has a thriller plotline it's more of a character-driven tale. Lots of funny conversations and sweet scenes. It's a road trip novel! I love road trip novels. 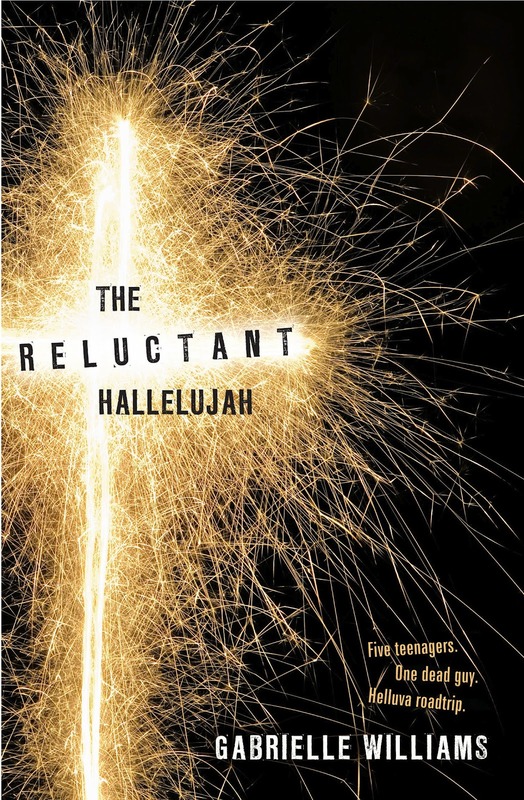 This is definitely one for the older YA crowd. It's written in a very conversational, teenager-y style (I am excellent at adjectives, as I'm sure you can tell). I think all of the geographical details (lots of which I recognised! The first part of the novel occurs in Melbourne and underneath Melbourne, creepily) lent believability, and firmly set a fairly out-of-this-world story in the real world. It's pretty splendid, less crazy-adventuring and race-against-time type stuff than I expected (it is certainly not the Da Vinci Code) but full of really genuine characters. So you might hate it. That crazy revelation might be a little too crazy for you. But even if you don't share my love of the delightfully wacky (and it's pretty gutsy, really), it's well-written and endearing and full of realistic characters in a hilarious, unrealistic situation. It sounds weird, but somehow, it works.